OtherSide Entertainment has just snagged up a very valuable collaborator for its ambitious sequel, System Shock 3. Warren Spector, the man with legendary titles such as Deus Ex, Ultima, Wing Commander, Thief, and even the first System Shock game, has signed up to help with the development of this highly anticipated revival. The company announced Spector's role in the upcoming game through its official Facebook page, stating that he would be helping with Underworld Ascendant before leading into System Shock 3. Ever since closing out the Thief series in 2004, Spector has been relatively quiet on the game development front. 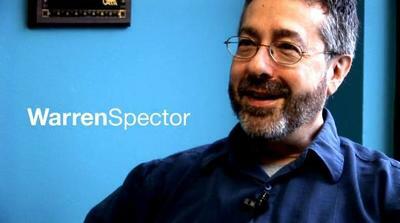 He cranked out the Epic Mickey games after his name alone was enough to sell gamers on them, but after they failed to pan out critically, Spector turned to teaching. He states that he is looking forward to getting back to development. "I've loved working with students as Director of the Denius-Sams Gaming Academy in the University of Texas' Moody College of Communication. But when the opportunity to have a bigger role in bringing Underworld Ascendant to life, as well as playing in the System Shock universe once again, helping to bring these games to a 21st century audience, I just couldn't say no. Working on System Shock was one of the most fulfilling things I've done in my career and it's hard to describe how much I'm looking forward to sharing with players what SHODAN has been up to since the last game was released." OtherSide Entertainment said it would be developing System Shock 3 last December. No platforms have been confirmed, but it's safe to assume it will at least be coming to the PC.